The most difficult part of a SÜDWIND: making a decision. 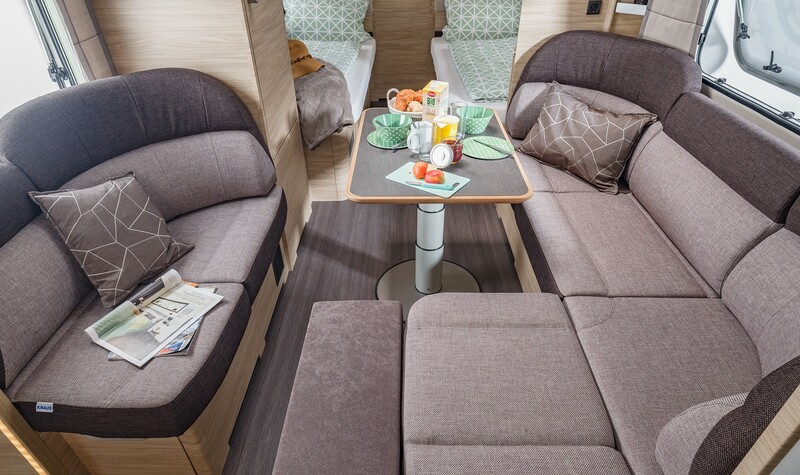 With its many layouts and options, our iconic caravan leaves nothing to be desired. 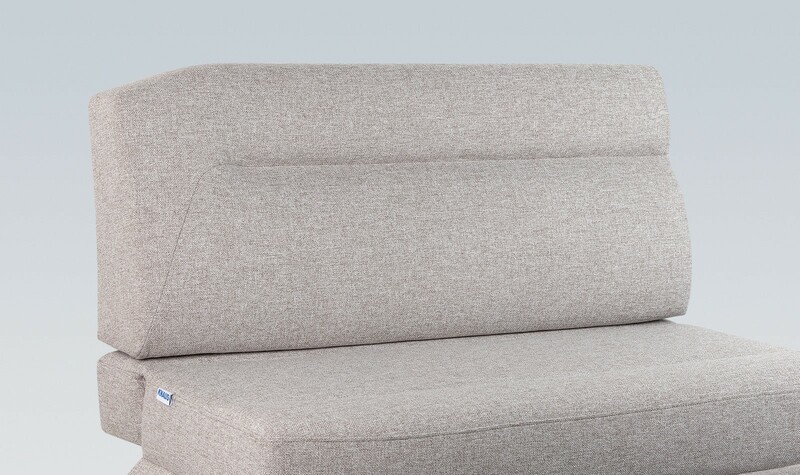 This can especially be seen in the interior. Perfectly designed decors, finely crafted furniture and luxurious equipment highlights are waiting for you to discover them. Please allow sufficient time for this – there is plenty to see. Here, anything goes – and is welcome. Drawing, playing, snacking, reading, clowning around and, of course, cuddling. The Bauer family enjoys that to the fullest. 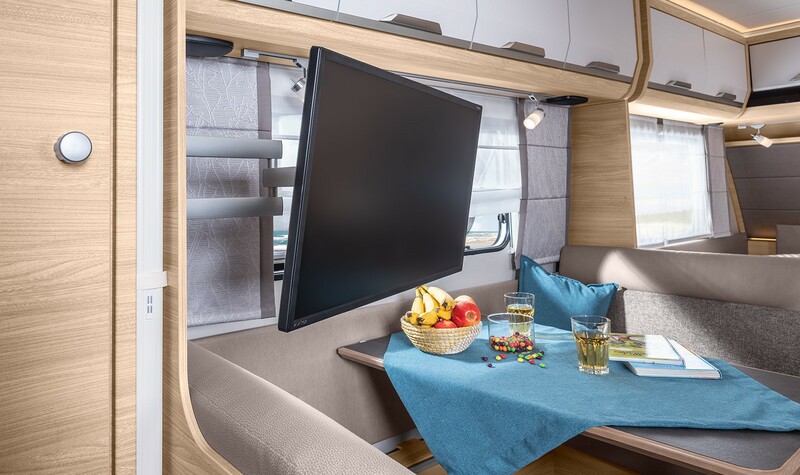 The flexible TV holder is part of the standard equipment, so you can watch TV from the sitting area as well as from the bed. Not only nice to look at, but also a practical privacy screen. 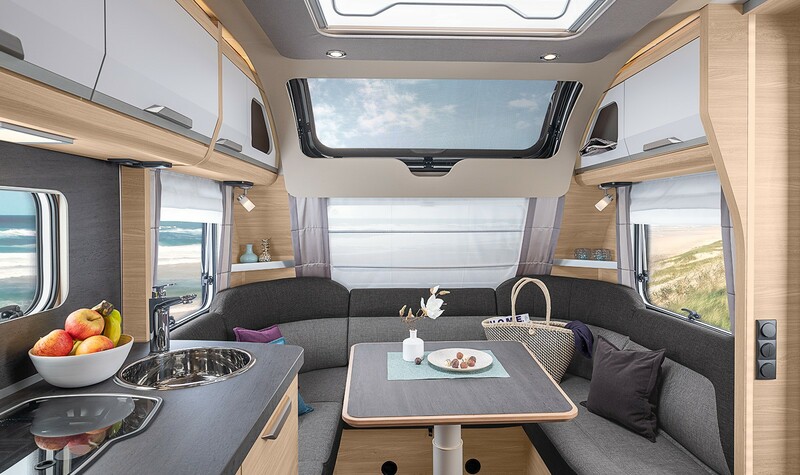 The panoramic roof offers a magnificent view in the seating area. Perfect holiday feeling in any weather. 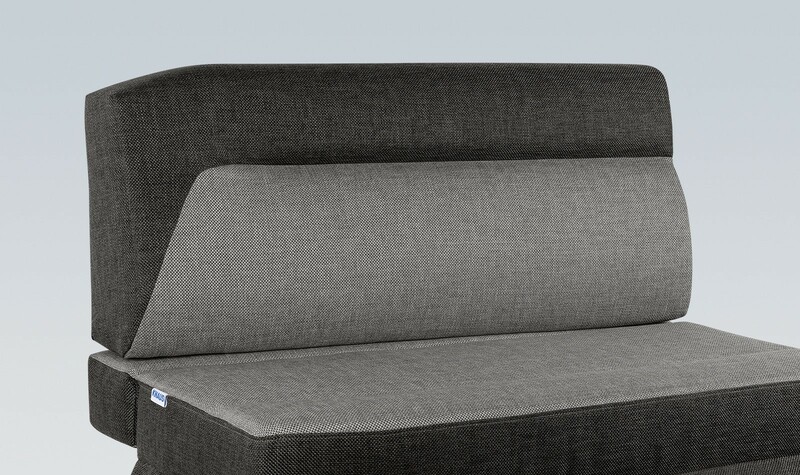 What a comfortable seating area: Enjoy more leg room and sit back comfortably, thanks to the collapsible footrests. But while on holiday it tastes even better, especially when mum and dad are doing the cooking. 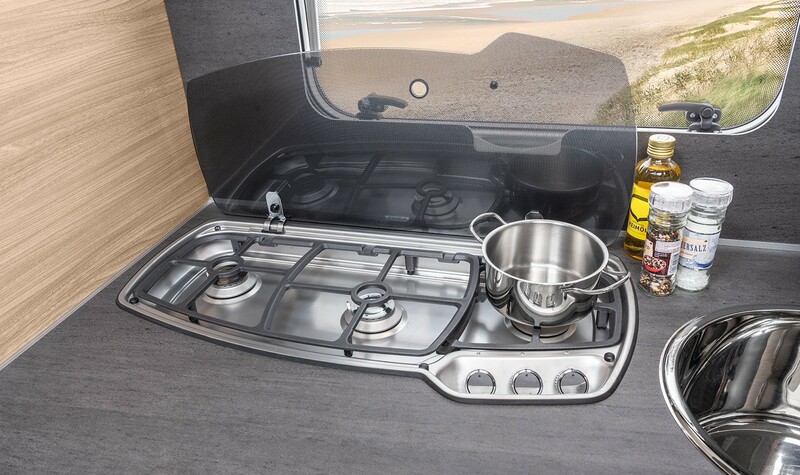 On the 3‐flame cooker, there is enough space for familysized portions. Heats lightning fast and thanks to the high‐quality cast iron grate, 3 pots have a secure stand at the same time. 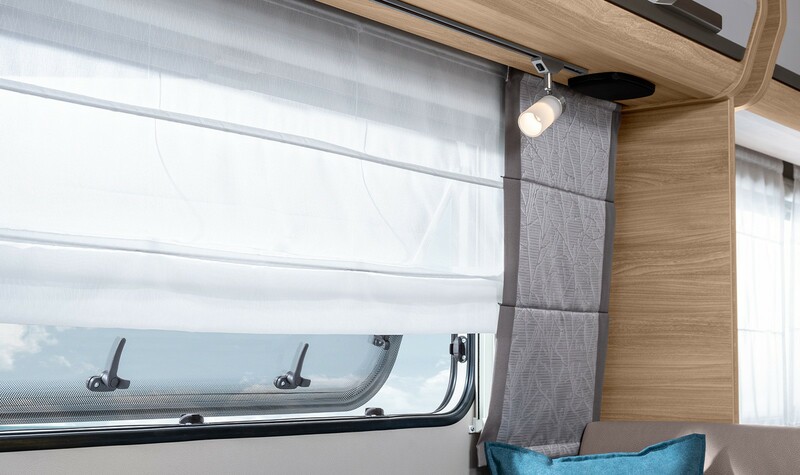 Protects against stains and splashes during cooking and, thanks to the same décor as the worktop and ambient lighting, looks particularly classy. 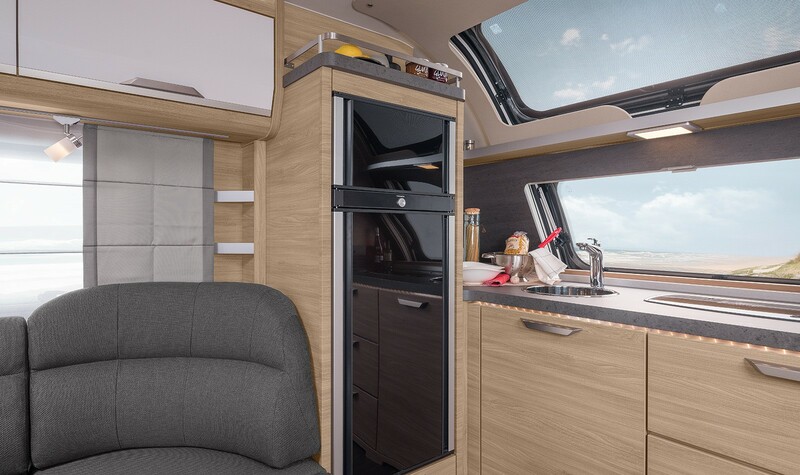 With 177 liters of volume this offers enough space for all favorite foods. Thanks to double connection, it can be easily opened in both directions. 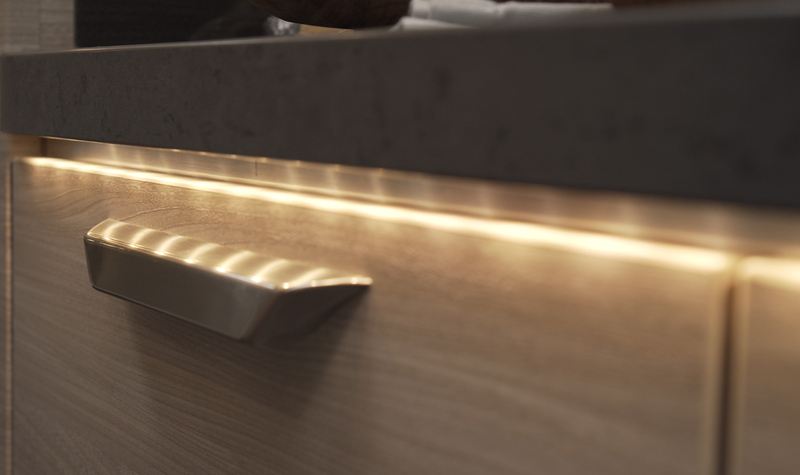 Soft‐close drawers and ambient lighting. 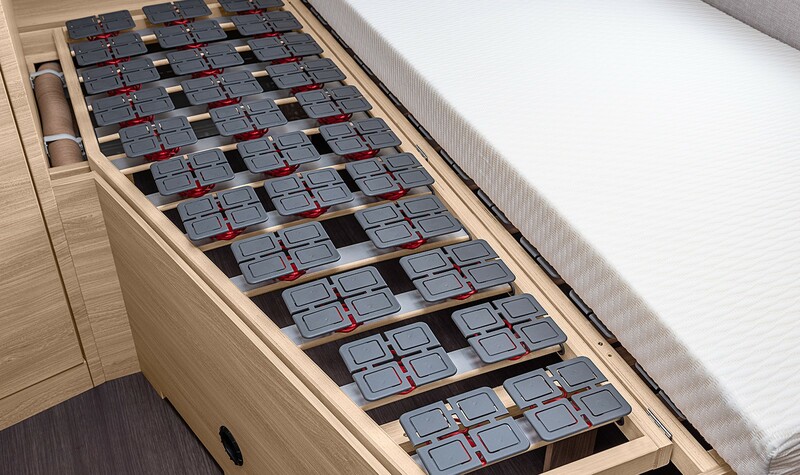 The beds are aligned in such a way that they are like small retreat. This way, one‐half of the bed can finish their chapter, while the other half sleeps. 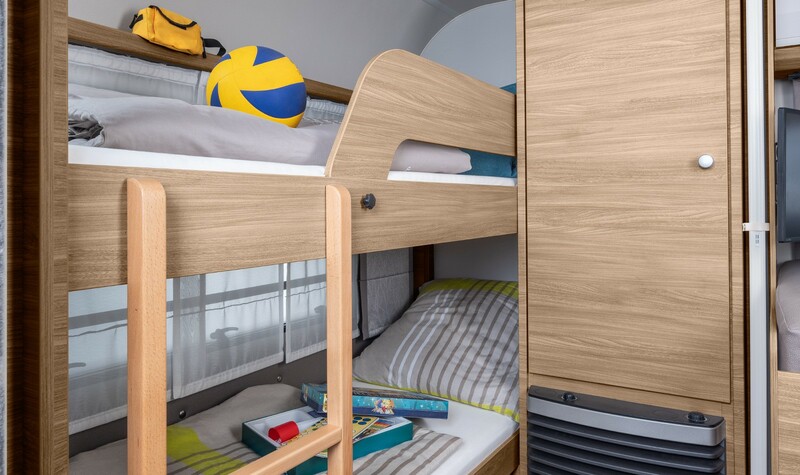 In some layouts, the 2‐bunk bed can optionally be extended into a linen cupboard or a third level. 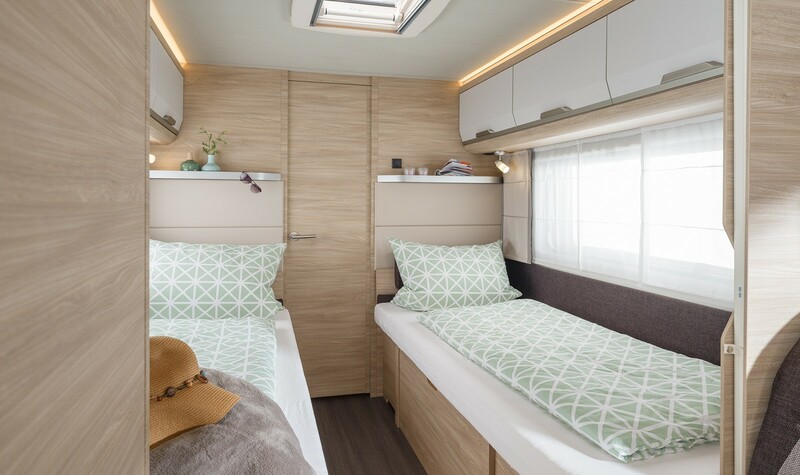 With the 3‐level version, you get a multifunctional bed for sitting, sleeping and lounging. 2 separate longitudinal beds become a large sunbathing area in no time. 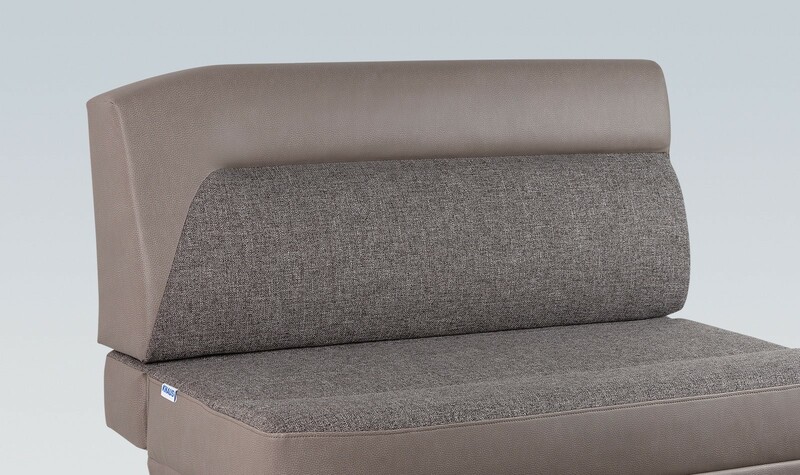 A feature from the luxury class: The optional point‐elastic feather elements guarantee a wonderful night’s sleep. 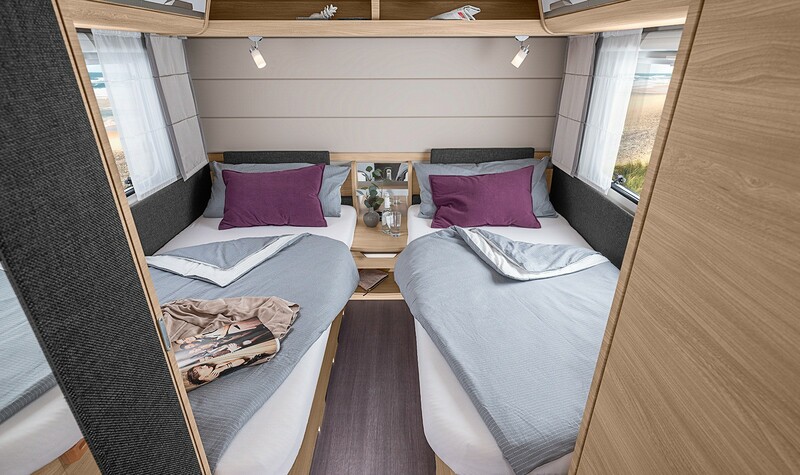 The SÜDWIND 650 PEB: With two single beds and a permanent bathroom in the rear. 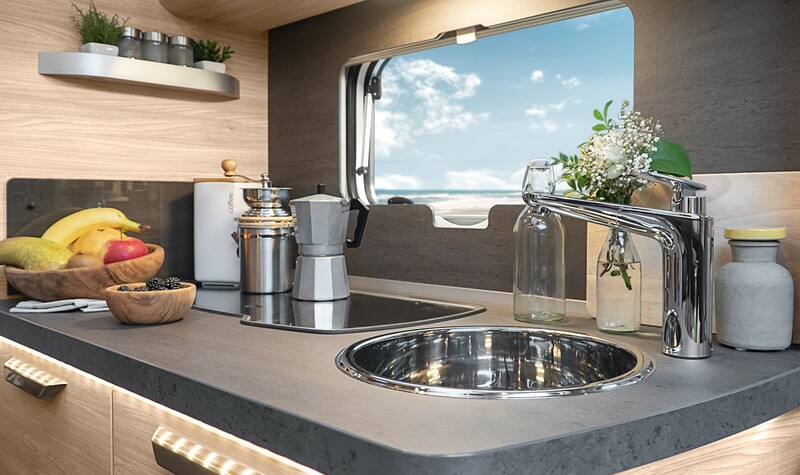 There’s enough space for everything at the large sink. Even for a little nonsense with dad. 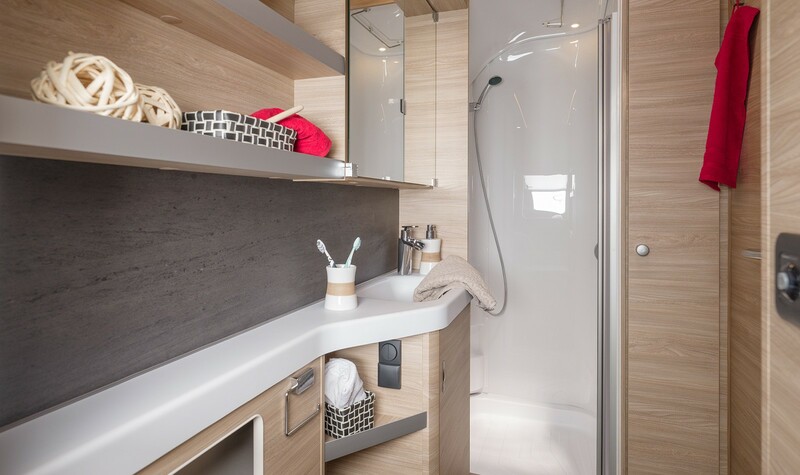 Here you have plenty of freedom of movement, a large washbasin and a separate shower. 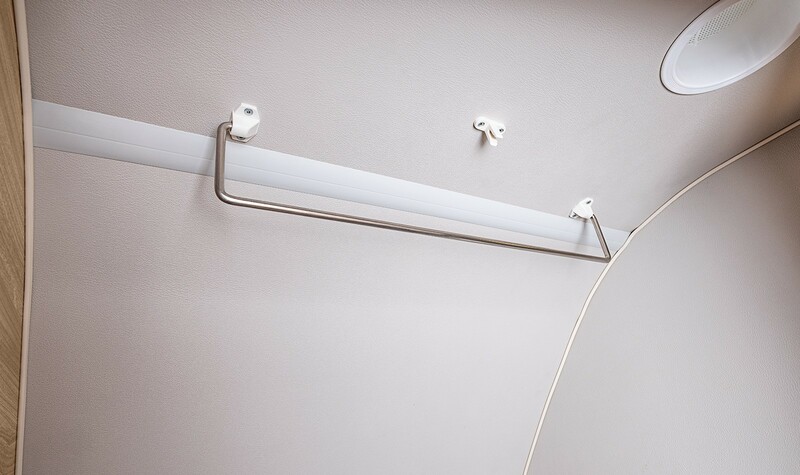 The foldable clothes rail is standard on all models and is perfect for drying bath towels and wet clothes. 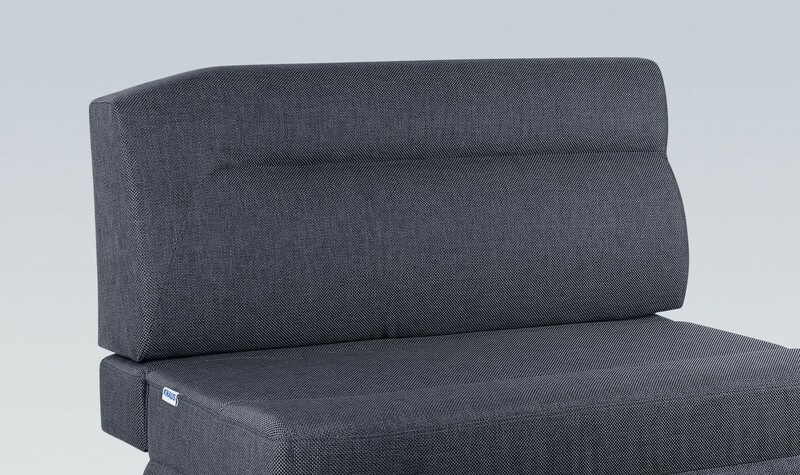 To save space, it disappears on the wall when you do not need it. 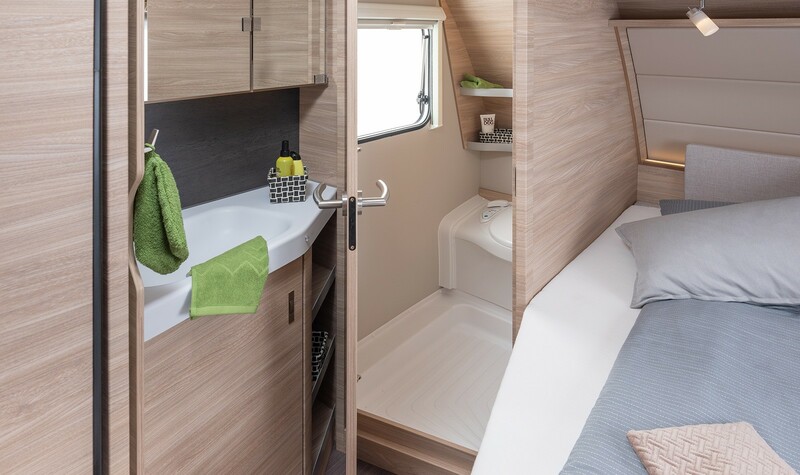 The spacious bathroom at the rear uses the available space perfectly. 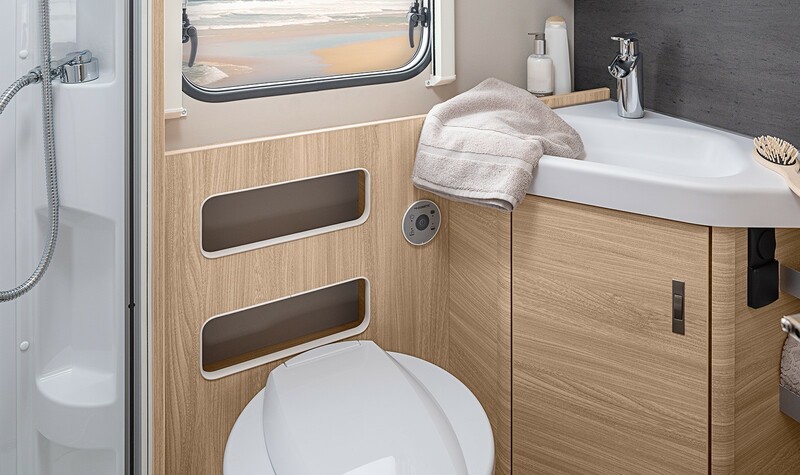 Thanks to the rear bathroom in the 450 FU, there is more space and scope for movement.